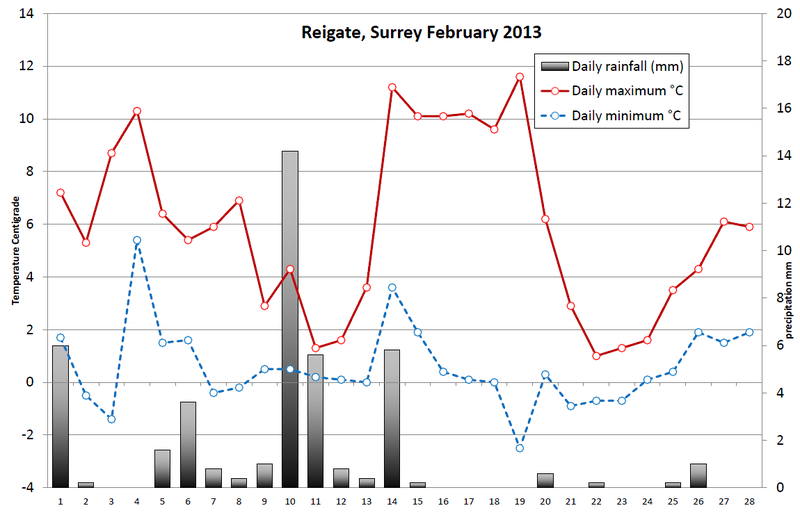 February 2013 weather in Reigate. Highest temp 11.6C; lowest temp -2.5C; rainfall total 42.6mm. Also winter 2012-2013 summary available above too. FULL update of RGS weather data available on the DATA page here!